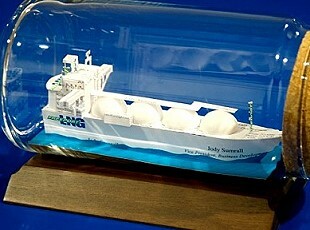 Our Liquid Natural Gas Ship Sculpture began as a custom commission for a client in the petroleum/gas industry. 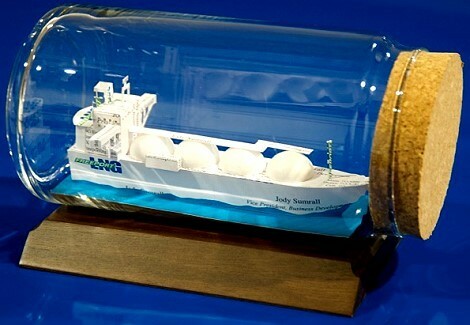 The four round tanks make this the most unique maritime gifts ideas in a long time. We have more maritime gift ideas including a similar sculpture, the Oil Tanker Sculpture. Or for broader choices, check out the Transportation category.